Earlier this week the New Zealand swimming community lost two-time Commonwealth Games representative Allan Seagar. Our thoughts and best wishes are with the Seagar family at this time. SNZ life member David Gerrard shares these words about his great friend. 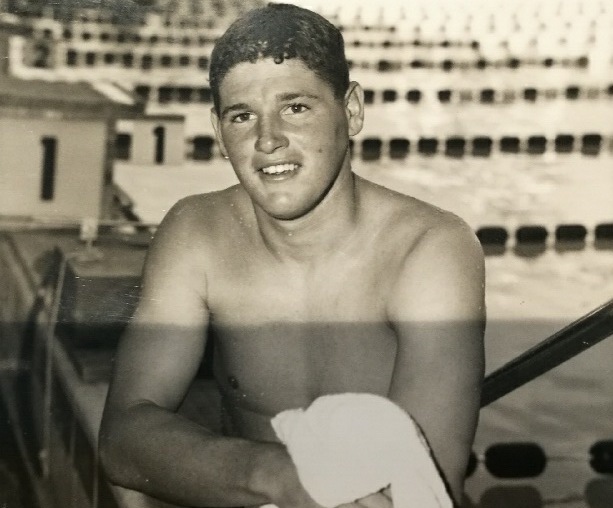 Allan Seagar swam for the Mt Eden Swimming Club in its heyday under coach Morry Doidge. He remains one of only a handful of Kiwis who can lay claim to an Australian swimming title when in 1964 he won the 440yds IM. Locally he held the national title for the 440yds IM for 8 consecutive years from 1961 until 1968, the 220yds IM in 1966,67,68 and the 220yds back in 1964, 65,66. Allan Seagar was twice a member of the NZ Commonwealth Games swimming teams, in Perth 1962 and Kingston 1966. He distinguished himself with final swims in the IM, backstroke and breaststroke narrowly missing the podium with three 4th placings. Throughout his career Allan remained loyal to the Mt Eden Swimming Club and Morry Doidge and following his retirement from swimming he turned to surf. Here he enjoyed further national success with the Piha Surf Club and at the time of his passing, Allan remained an active reserve member of the Piha patrol. We have lost a true swimming legend, and a man who set the standards for the generation of individual medley specialists who followed.